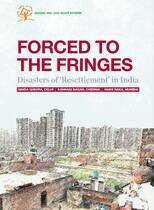 The last few decades have witnessed an unprecedented rise in forced evictions across the world. A multitude of factors, including large infrastructure and purported 'development' projects in both rural and urban areas, such as those related to dams, mines, and ports; urban renewal and expansion; city 'beautification'; sports events; industrial development, including the takeover of farmland; and most recently, designation of large areas as tax-free Special Economic Zones (SEZs), are leading to the eviction of individuals and communities from their homes and habitats, without due process and in violation of their human rights. In the absence of adequate rehabilitation, this has exacerbated homelessness and inadequate living conditions, and resulted in loss of livelihoods, income, health, and education of affected individuals and communities. 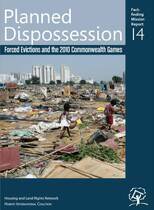 Which Human Rights are Affected During a Forced Eviction? [P]ermanent or temporary removal against the will of individuals, families or communities from their homes or land, which they occupy, without the provision of, and access to, appropriate forms of legal or other protection. [A]cts and / or omissions involving the coerced or involuntary displacement of individuals, groups and communities from homes and / or lands and common property resources that were occupied or depended upon, thus eliminating or limiting the ability of an individual, group or community to reside or work in a particular dwelling, residence or location, without the provision of, and access to, appropriate forms of legal or other protection. 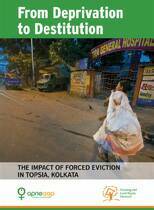 The practice of forced eviction constitutes a gross violation of human rights, in particular the right to adequate housing. Forced evictions constitute violations of a range of internationally recognized human rights such as the human rights to adequate housing, land, health, food, education, water and sanitation, security of the person and home, work / livelihood, freedom from cruel, inhuman and degrading treatment; freedom of movement; information; and, participation and self-expression. As a result of forced evictions, people are often left homeless and destitute, without means of earning a livelihood, and with no effective access to legal or other remedies. 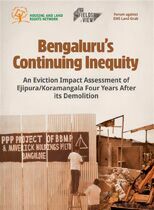 Forced evictions are often associated with physical and psychological injuries to those affected, with disproportionate impacts on women, children, persons already living in extreme poverty, indigenous peoples/adivasis, Dalits/members of Scheduled Castes, religious minorities, and other marginalized groups. The majority of the evicted are not considered 'eligible' for rehabilitation by the state on arbitrary grounds such as inability to furbish requisite documents and not meeting the 'cut-off' date in the respective city/state. For the minority of affected families who receive resettlement, it is extremely inadequate and violates multiple human rights. 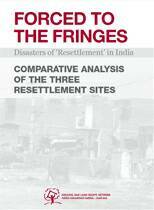 Most resettlement sites are located on the fringes of cities, and do not provide adequate housing, basic services, and security to the residents. As a result of relocation to distant sites, most families lose their jobs/work; children are forced to drop out of school; communities and social networks break down. Women suffer disproportionately from loss of livelihoods and safety and security. 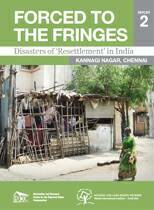 The collapse of rural economies, the agrarian crisis, landlessness, and displacement resulting from mega projects in rural areas forces many to migrate to cities in search of livelihood options. The absence of low cost and public housing in cities results in large numbers of people living in grossly inadequate housing conditions, often without access to basic services. With mounting pressure on land in urban areas, local administrative authorities are increasingly looking to shift informal settlements from city centres to the outskirts of the city. This negatively affects the livelihood, health, and education of residents. The land acquired from these evictions is then used for revenue generating enterprises like shopping malls, entertainment complexes, high-rise office buildings or housing colonies for the urban elite. Housing and Land Rights Network has consistently stood against forced evictions, demolitions, and forced relocation, and maintained that settlements should be relocated only if there is an explicit danger to the health and lives of the residents. In such "exceptional circumstances" international human rights guidelines, especially the UN Basic Principles and Guidelines on Development-based Evictions and Displacement must be complied with. HLRN works at several levels, in collaboration with partners and social movements, against forced evictions and displacement. This has included working with the central and state governments; with national and state human rights institutions, including the National Human Rights Commission; and with relevant UN human rights mechanisms, including treaty bodies, the Human Rights Council, and Special Procedures, especially the Special Rapporteur on adequate housing. 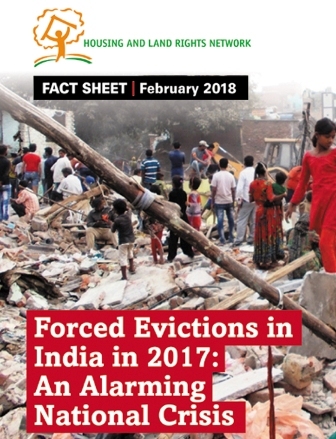 We have established a National Eviction and Displacement Observatory that works to document incidents of forced eviction across India, analyse data, spread awareness on the issue of forced evictions and related human rights violations, and reach out to affect communities to access relief, justice, and restitution of their human rights through a range of strategies. We have also been engaged in campaigns and efforts to promote human rights education on the issue, and to ensure human rights-based laws and policies related to rehabilitation and in situ upgrading of housing and settlements. 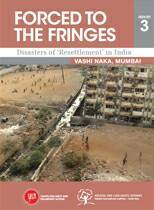 Forced evictions, demolition of settlements, land grabbing, and displacement are serious problems across India. Through this Handbook, HLRN aims to provide evicted and displaced communities as well as those threatened with eviction with the necessary information to understand laws that protect their human rights as well as possible actions they could take to seek justice and redress. 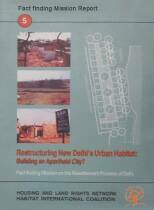 The Handbook contains strategies and tools that could be used by affected communities and also by those working on issues of housing and land - civil society organizations, social movements, human rights defenders, and independent institutions. 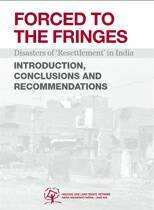 The Handbook is available in English, with a national focus, while translations of the Handbook in regional languages have been contextualized to reflect the reality in different states of India. 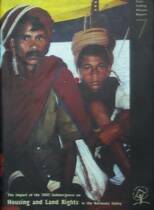 The state handbooks mentioned below include information on relevant state laws and policies as well as state officials and human rights institutions to approach. HLRN has been working on a campaign to promote the UN Basic Principles and Guidelines on Development-based Evictions and Displacement. The campaign aims to promote awareness on the Guidelines and to encourage their use, implementation, and incorporation into national and local laws and policies with the aim of minimizing evictions and protecting the human rights of evicted and displaced populations. HLRN has written and published a Handbook on the UN Guidelines, which has been translated into several Indian languages. What are Your Rights under National Law? What are Your Rights under International Law? What are the International Guidelines to be Followed? What Can You Do to Seek Justice? Who Can You Contact in India? Which are the UN Mechanisms You Can Approach? HLRN has developed an 'eviction impact assessment tool' (EvIA Tool) for determining the full consequences that persons, households and communities undergo through the process of forced eviction and displacement. The HLRN tool could be used as a mechanism to prevent evictions, and in cases where evictions have already taken place, to ensure just and adequate restitution, rehabilitation and compensation. The tool aims to assess both material (for example loss of property and household items) and non-material (for example loss of education and healthcare) costs / losses incurred during a forced eviction. This methodology can be utilized by housing and land rights defenders, legal practitioners, field researchers and/or actual victims everywhere to determine a wide range of losses and costs that typically are associated with forced evictions, but are rarely recognized or documented. 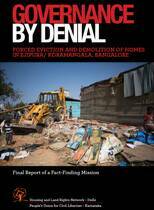 HLRN documents forced evictions, as and when they occur around the country. The goal is to collect disaggregated data on evictions that can be used to monitor state commitments, to map evictions accurately, and to frame adequate policy response. 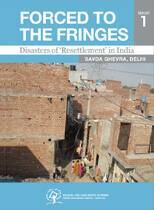 If you know of a forced eviction/demolition anywhere in India, please immediately contact HLRN. We can also assist with urgent actions and other advocacy efforts aimed at relief, redress, and restitution. Write to: noevictions@hlrn.org.in or call 011-4054-1680 or fill in this form. Violence against Villagers and Forced Land Acquisition for POSCO Project in Odisha - Gross Violation of Human Rights. 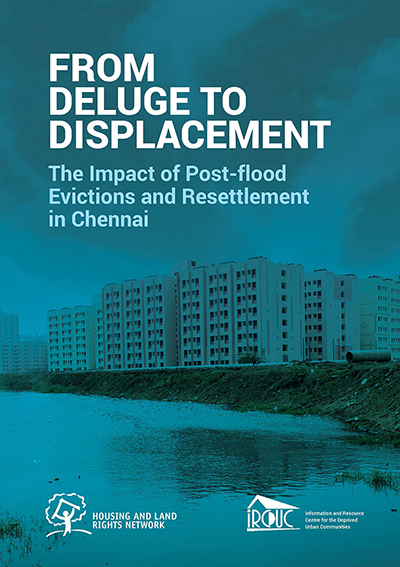 How to Deal with Projects that Involve Forced Evictions and Displacement? How many demolitions does it take to break a basti's spirit?